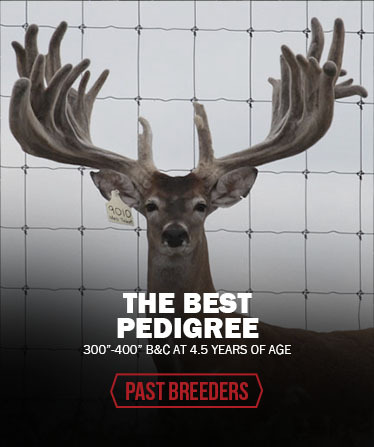 Single dam breeding allows us to double up on superior genetics of 4M Black One, recognized by Deer Tracking Magazine as one of the elite power does. 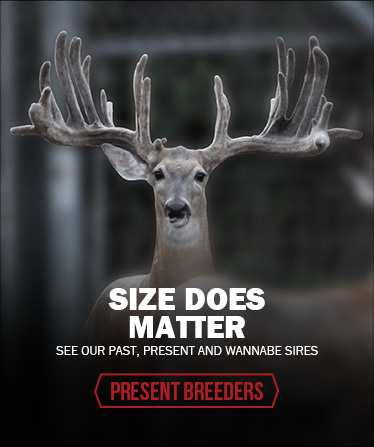 Because of this track record, we can say with confidence that Black One daughters continue the legacy of Black One, producing even bigger bucks than their mom. 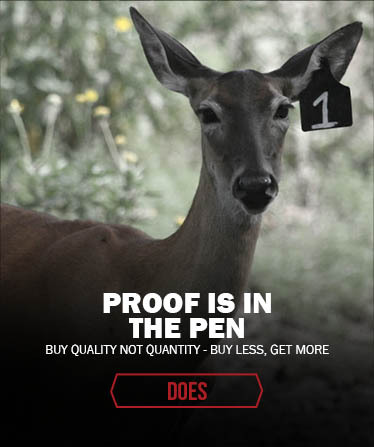 We believe that Southern and Northern cross deer are the best of both worlds. Both are equally important. Southern influence helps with width and tine length while the Northern influence helps with mass, number of points, and body size. From the beginning of our breeding program nine years ago, we have crossed Southern and Northern genetics without an increase in mortality rates. If Southern/Northern cross deer die, we wouldn’t have ONE deer in our pens, much less 450 Southern/Northern crosses. EHD/Blue Tongue can strike any animal, pure Texas or not.